Comments: Large, dark green leaves with yellow petioles and stems. Makes a strong accent in a planting because of the large leaves that tend to be pointed upward. Cannot tolerate hard freezes. 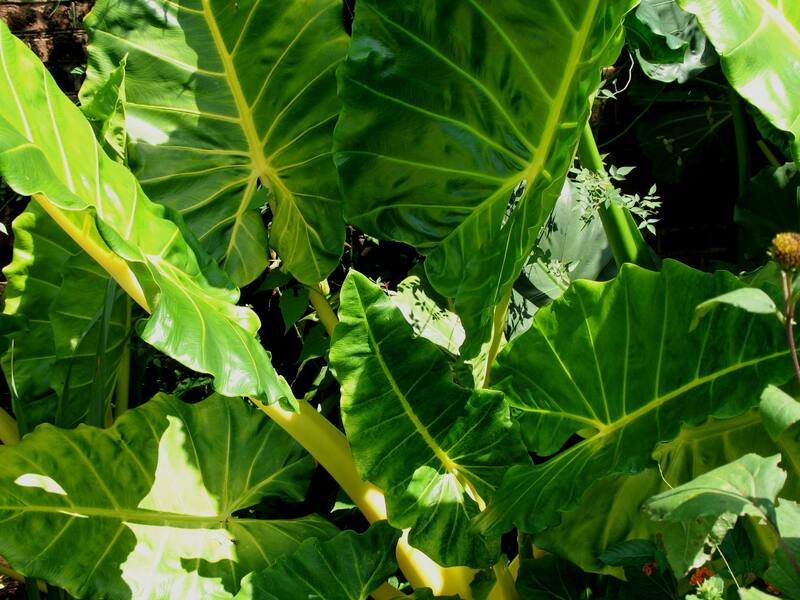 No serious pests on elephant ear plants, but some can multiply and spread may need to be controlled.